The royal household has clearly been in the midst of a shake-up recently, as the Queen prepares to hand down duties to the young members of the royal family, and eventually welcome Prince Charles in as the new King. The younger royals are taking on more responsibilities than ever, while Prince Charles is also upping his own royal duties following Prince Philip’s retirement on 2nd August. However, according to reports, it seems that preparations for the new monarch, and various changes within the royal family, have been causing some tension with royal staff within the household. Most recently, the Queen’s private secretary Sir Christopher Geddit announced his shock resignation, something many within the household weren’t expecting. But it seems that he’s just the first in a wave of royal staff making the decision to leave. Prince Harry’s Private Secretary, Edward Lane Fox, is expected to be the next member of staff to jump ship, shortly followed by Prince William’s right-hand man, Miguel Head – according to The Daily Mail. Rumour has it that the members of staff are jumping ship for various different reasons. Some speculate that many members of staff were unhappy about the way news of Prince Harry and William’s documentary about their mother Diana was handled, and were left feeling they weren’t fully informed about it. Other sources suggest that the way Prince William and Prince Harry have spoken out over their own mental health struggles has apparently been thought by some royal aides to have “gone too far”, while others are rumoured to have been left put out by Prince Harry’s statement on the media after attacks on his girlfriend Meghan Markle – saying that it overshadowed Prince Charles and the Duchess of Cornwall’s tour of the Middle East. It’s also said that the separate royal households – Kensington Palace, run by the younger royals, Clarence House, run by Prince Charles and Camilla, and Buckingham Palace – are constantly at odds, with little communication amongst one another. But how true are the rumours? And is the Palace really in such a state of disarray? Despite the clear exodus of palace staff, things seem to be going as well as they can for other parts of the royal household. Although Prince Harry and Prince William’s Private Secretaries will soon be stepping down, the Duchess of Cambridge has recently hired a new Private Secretary, Catherine Quinn, who is expected to be a great choice for Catherine. It’s said that she aims to create a new ‘professional royal image’ for the Duchess, and will be instrumental in preparing her for an increased workload of official duties. Could this be why Prince Harry hasn’t proposed to Meghan Markle yet? 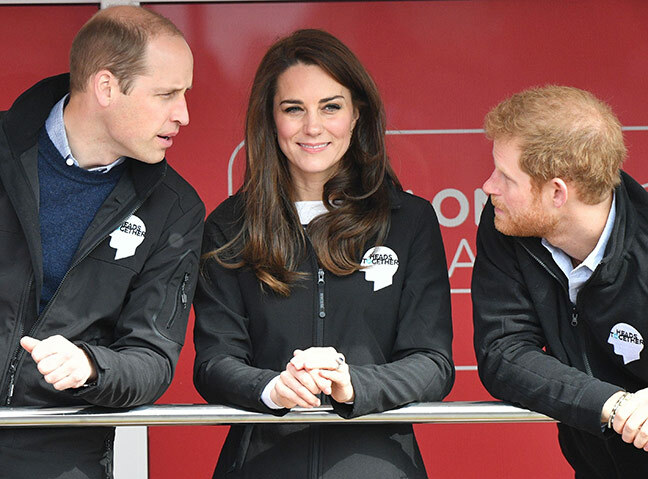 And, although royal aides appear to have had some opposition to William and Harry’s moves over the last few months, the pair have been widely praised for opening up about their mental health struggles and their open discussions of their much beloved mother, Princess Diana. So, although there may be some dissension in the ranks amongst royal staff at the moment, and unease in the Palace due to the great changes on the horizon, it seems that the Duke and Duchess of Cambridge, with Prince Harry by their side, are set and ready to take on the challenges before them.